I MADE THIS LAST YEAR~ BUT want to do a totally new one this year. However, here is the one from last year. 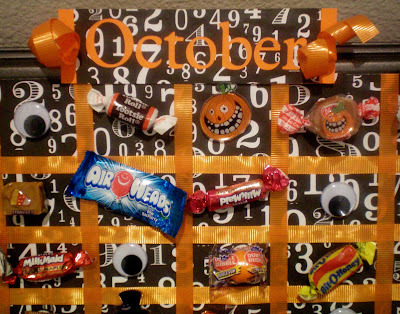 Made of candy, sticker’s, and “peeking” googly EYES! 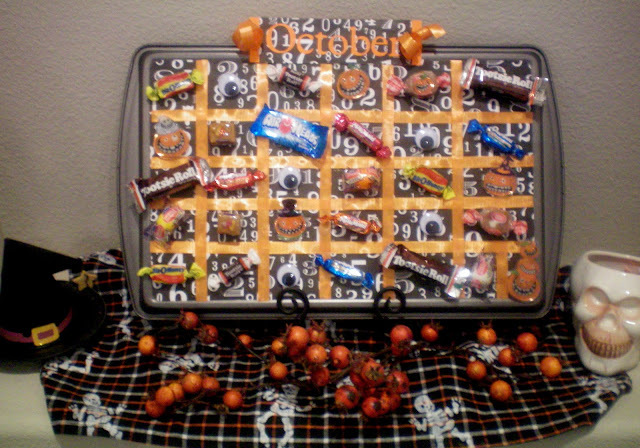 My kids loved it, and whatever one I do this year I am sure they will love too. I have linked up with Sunday Showcase at Under The Table and Dreaming HERE. THIS is so cute! 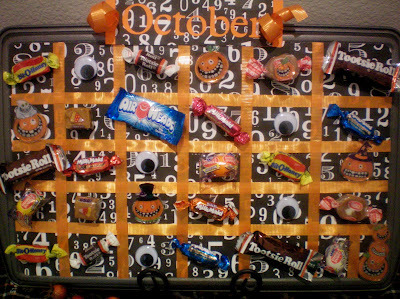 I want to make one of these cookie sheet calanders.. I love the candy you put on for it! What a cute idea! I may have to make one myself! I love this! ‘m going to make one for my little one!! I’m your newest follower from New Friend Friday! I love this!!!! THanks for sharing! OMG! I LOVE this. I am definetely going to make one for my little one! Thanks for sharing.